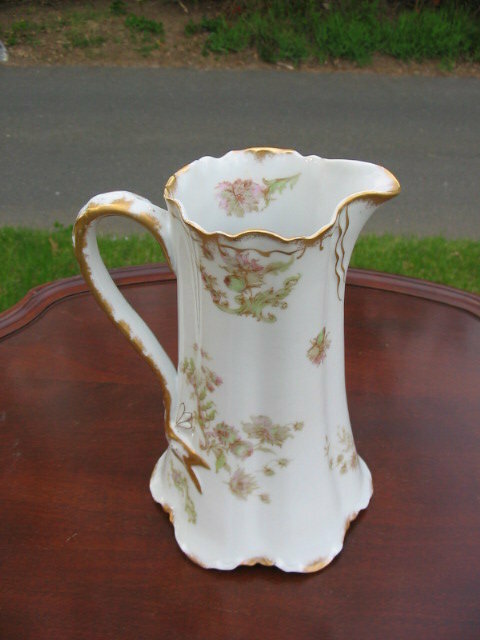 HERE IS A BEAUTIFUL HAVILAND LIMOGES PITCHER WHICH FEATURES DELICATE PINK AND LIGHT GREEN FLORAL ARRANGEMENTS. 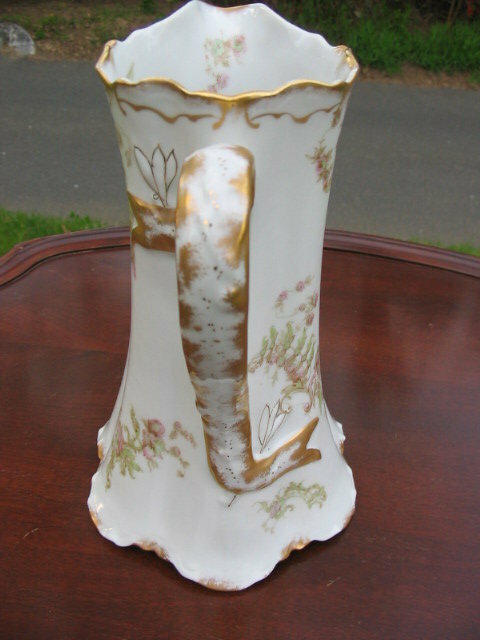 IT HAS LAVISH SPONGE GILDING WITH NO WEAR INCLUDING THE RIBBON HANDLE. NO CHIPS CRACKS HAIRLINES OR REPAIRS. IT MEASURES 9" TALL AND 6" WIDE AT BASE. 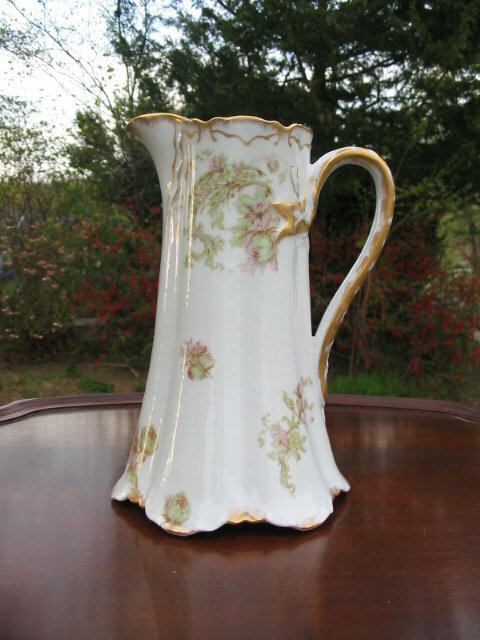 HAVILAND FRANCE LIMOGES MARK 12 IN GREEN UNDERGLAZE AND MARK 13 IN RED OVERGLAZE WHICH DATES THE PIECE FROM 1894-1931. 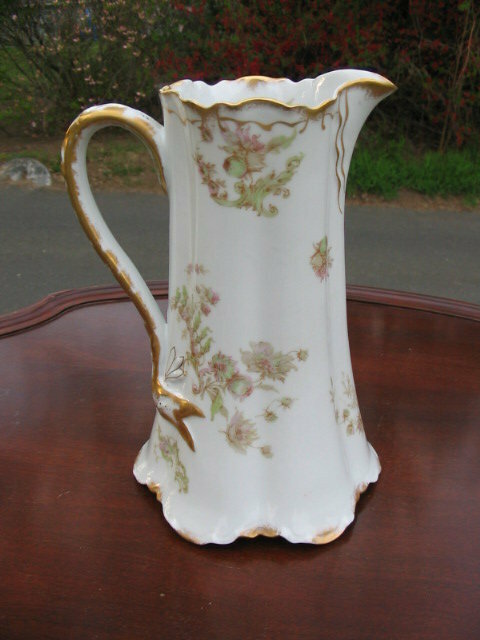 Items Similar To "LARGE HAVILAND LIMOGES PITCHER"